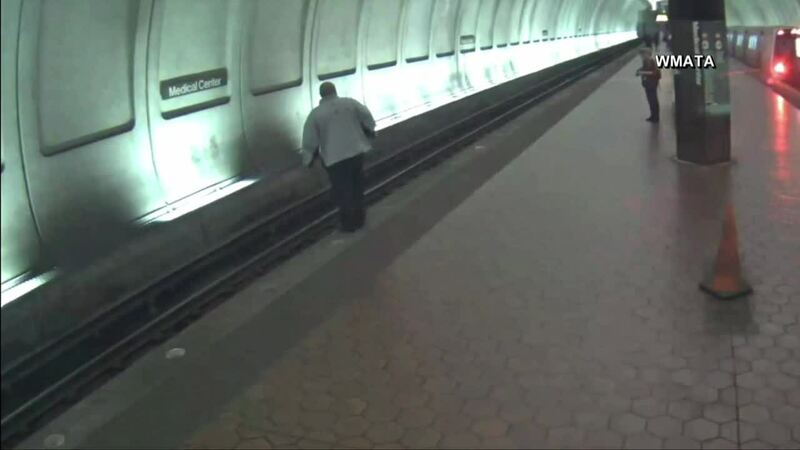 This was captured on surveillance at the red line's medical center line earlier this week. You see the man walking along the platform when he steps forward off the edge. The man manages to get back up on his own. However nearby passengers,who also saw what happened, came to his aid. And just in time, as a train pulls up to the station. The man was taken to the hospital and is expected to be okay.